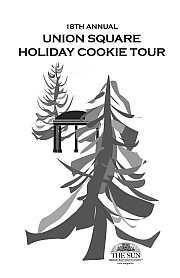 Christmas Cookie Tour #33 is coming! 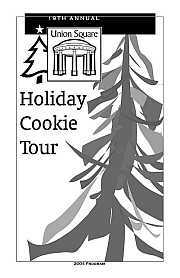 Tickets on sale at 1401 Hollins St. from 11:30 AM on day of the tour… OR buy tickets via the secure online option on this page. 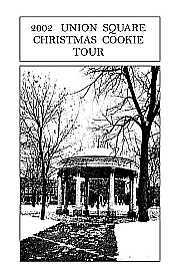 The 2018 Tour: You’re invited! 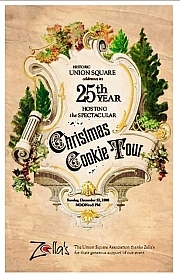 The Union Square neighborhood invites you to our 33rd annual Christmas Cookie Tour. 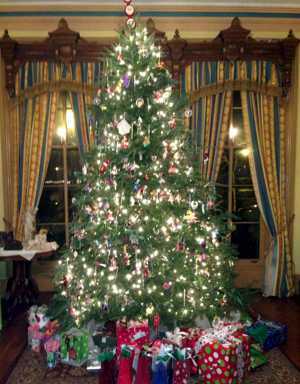 The park and the homes will all be decorated to celebrate the season. 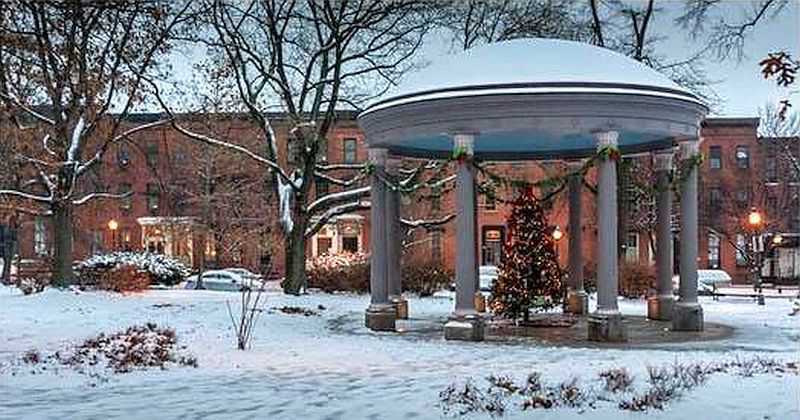 We offer you a special afternoon to stroll through our National Register of Historic Places district, and through the many fine 19th century homes opened for your pleasure. 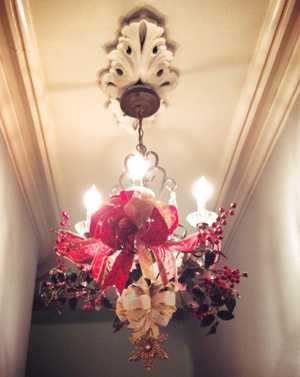 If you are new to our tour, you may be surprised to find that while we are very consistent in our views of proper Victorian streetscape, we vary widely in our concepts of interior decor. 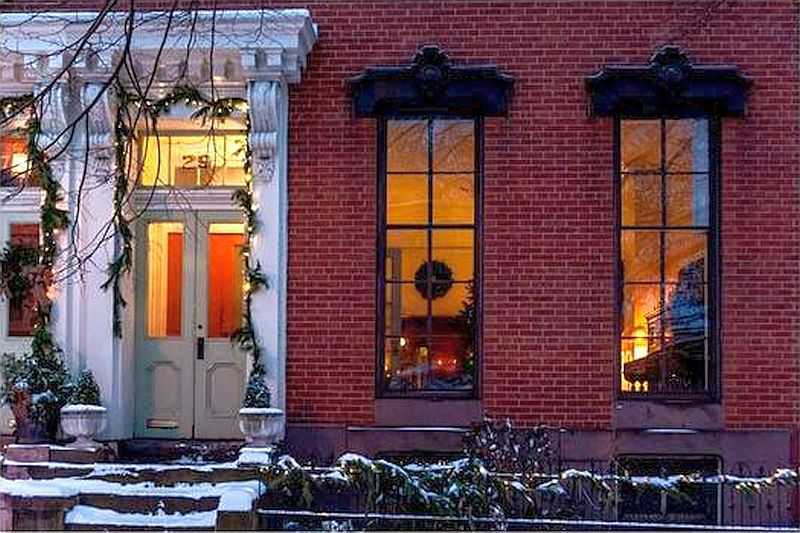 Our homes run the gamut of style from country to contemporary, with eclectic coexistence as a common rule. You may also be surprised to find an extremely strong sense of community among our “family” of neighbors. We all know one another, and we work together – not only in rebuilding our homes, but also in rebuilding this fine neighborhood. 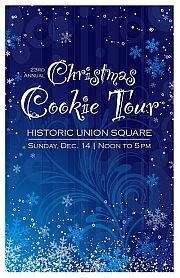 This tour, which benefits historic preservation and local charitable efforts, is but one example of the spirit that makes Union Square a great place to live… and a great place to visit. Order Tickets Online - Big Savings! Returning for 2018, you will be able to save time and money with the Secure Online Purchase option. Click “Order Now” and that will take you to a secure page where you may enter the number of tickets you want - then complete your secure transaction. 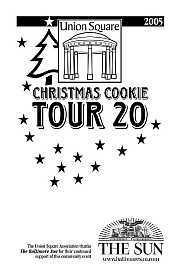 Your pre-paid ticket(s) will be then be available for pick-up at 1401 Hollins Street on the day of the tour. Just enter your starting street address and zip code. Clicking “Get Directions” will open a new window with a map and the option of printable directions. LIKE our Facebook Page and SHARE this with your Facebook friends! 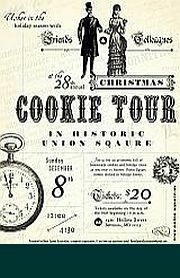 Cookie Tour Flyer - click to open full-size, print-ready version. Updated 2018 version coming soon. 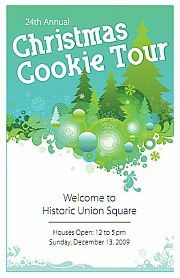 2017 UNION SQUARE CHRISTMAS COOKIE TOUR, A BALTIMORE HOLIDAY STAPLE, CELEBRATES HUGE SUCCESS - AGAIN! 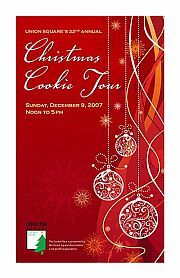 In addition to the beautifully decorated park (including the renovated iconic pavilion), 30 homes were open for visitors with plenty of cookies to munch on. 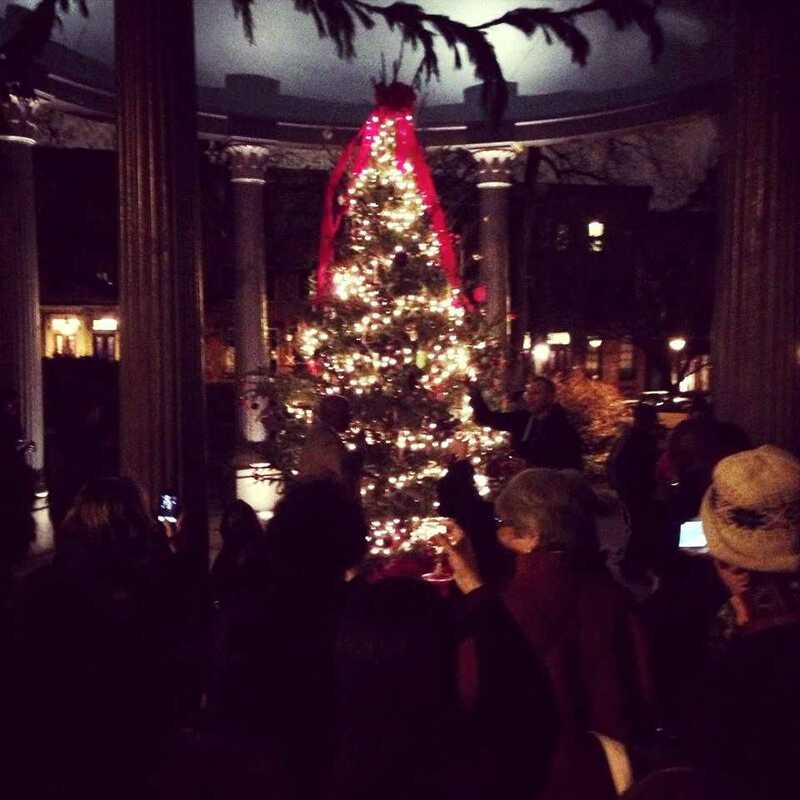 The weather cooperated, so there were plenty of people enjoying the holiday warmth found in each open house. An added bonus this year, the H. L. Mencken House (pictured above) was open - a rare treat. 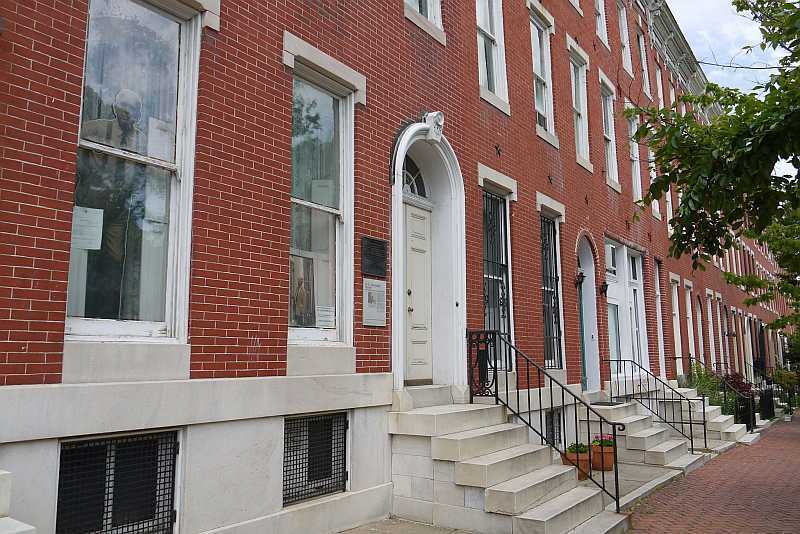 The tour also showcases the unique architecture and character of this historic neighborhood, as well as its ongoing renaissance. It’s interesting to return each year since some of the homes return and one can see the annual improvements. In addition, new homes are added each year as new residents move in, make renovations, and show the results of their efforts. It’s a real tribute to city living contrasted against the negative perceptions many may have about the urban experience. Many visitors are former residents of the area or had family connections with grandparents who used to live in this historic district. It’s also a pleasant surprise to see how many are first-time attendees – with several visiting from far outside the Baltimore Metro area. 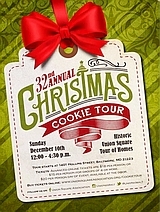 The Cookie Tour is an annual must-see family-friendly afternoon event leading up to all the Christmas celebrations. Union Square: Baltimore’s BEST location! 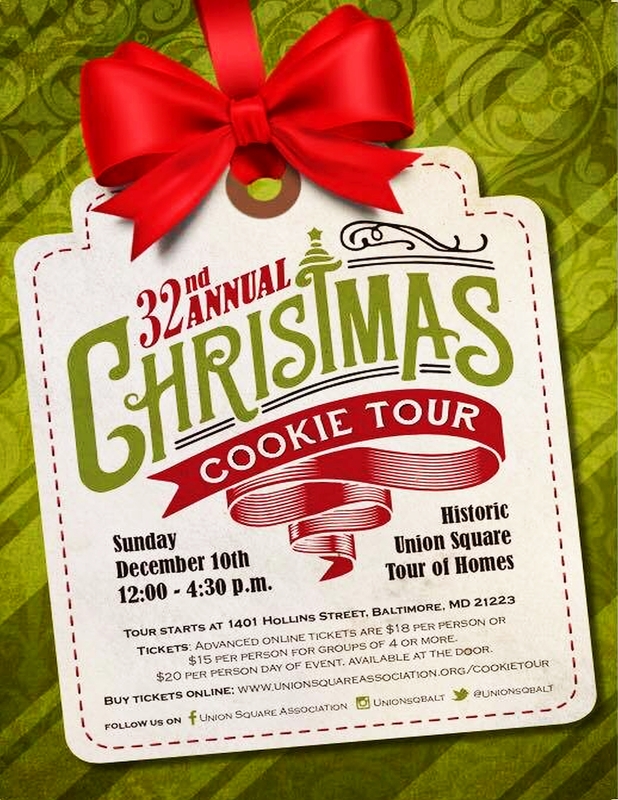 The Union Square / Hollins Market Historic District is in Southwest Baltimore (known to locals as SoWeBo). An uncommon synergy prevails in the neighborhood as residents work together to enhance the area’s quality of life. 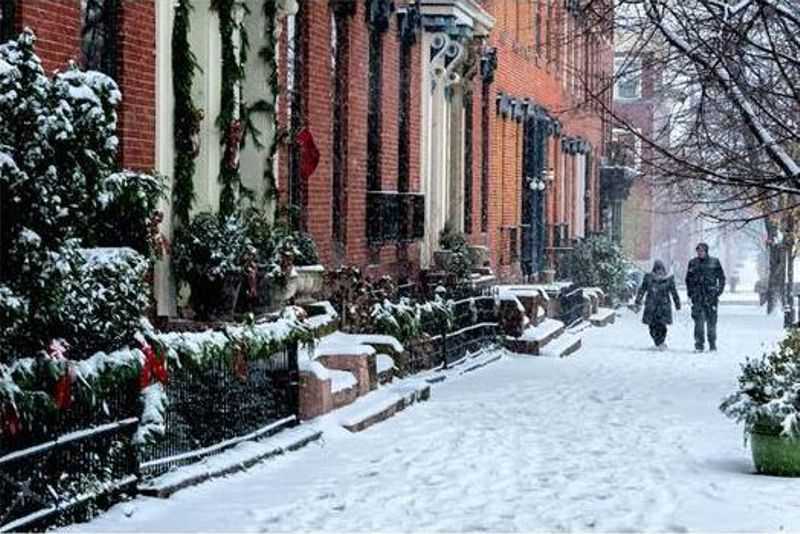 This historic neighborhood, one of Baltimore’s friendliest, is marked by pre- and post-Civil War architecture, period street lamps, brick sidewalks, and stately row homes. 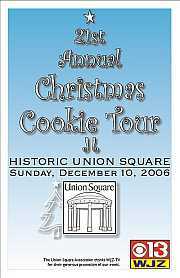 Created by Chris Everett Design, Union Square Online (www.union-square.us) first appeared on December 9th, 2002. 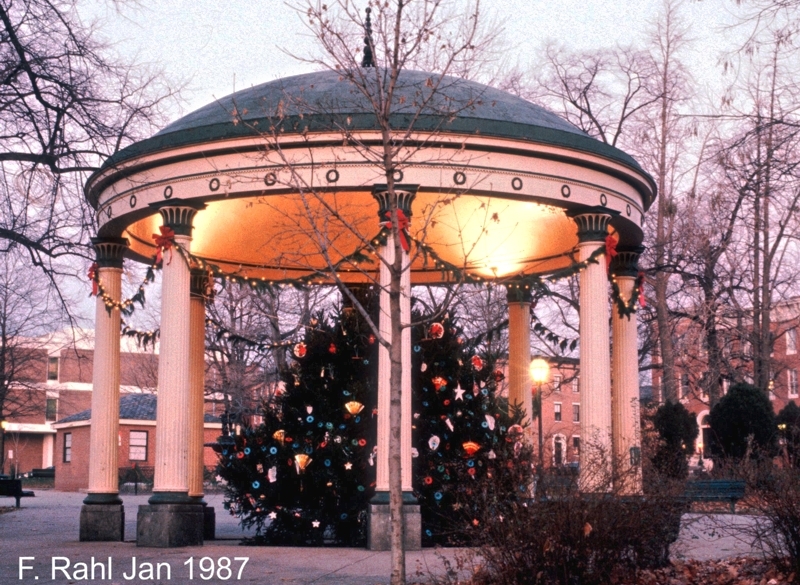 This website is contributed as a service to the neighborhoods of Union Square and Hollins Market, including those residents who form the Union Square Association. While information from many groups appears on this site, Union Square Online is not owned by, controlled by, or monetized by any of those organizations. This site is sponsored by Chris Everett Design, Baltimore, MD. No animals were harmed in the making of Union Square Online. Chris Everett Design ©2002-2018. All rights reserved, so there!